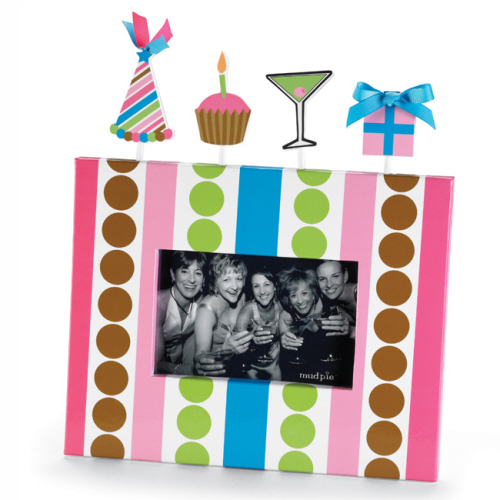 Paper wrapped frame features fun grown-up party icons. What a perfect way to say "Happy Birthday!". Frame holds 4x6" horizontal photo. NOTE: Only 5 left! SIZE DIMENSIONS: 11" x 10"
Folding Photo Keychain - 3 colors!